This love intention kit includes everything you need – except for your spell. 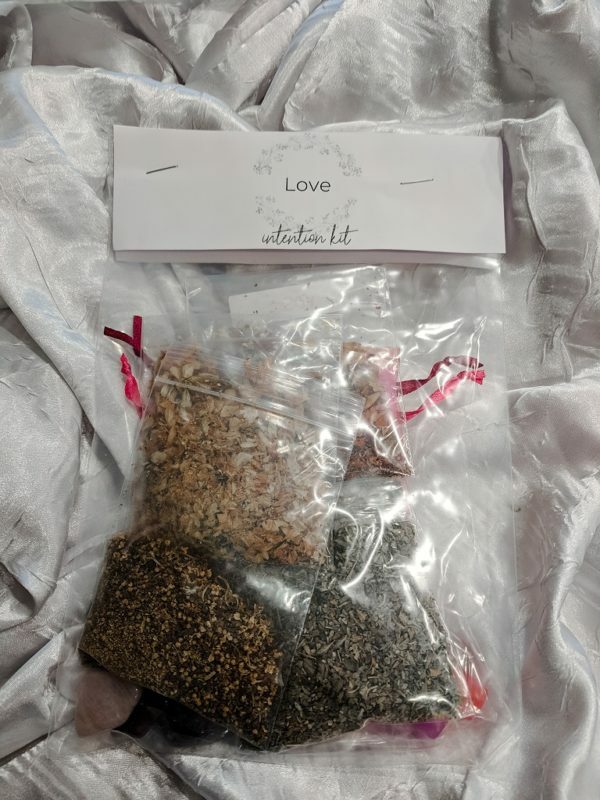 Crystals, herbs, small bags, and chime candles set the stage to bring in more love into your life. Each bag might be different, but the intention is the same – love. What can you do with this intention kit? 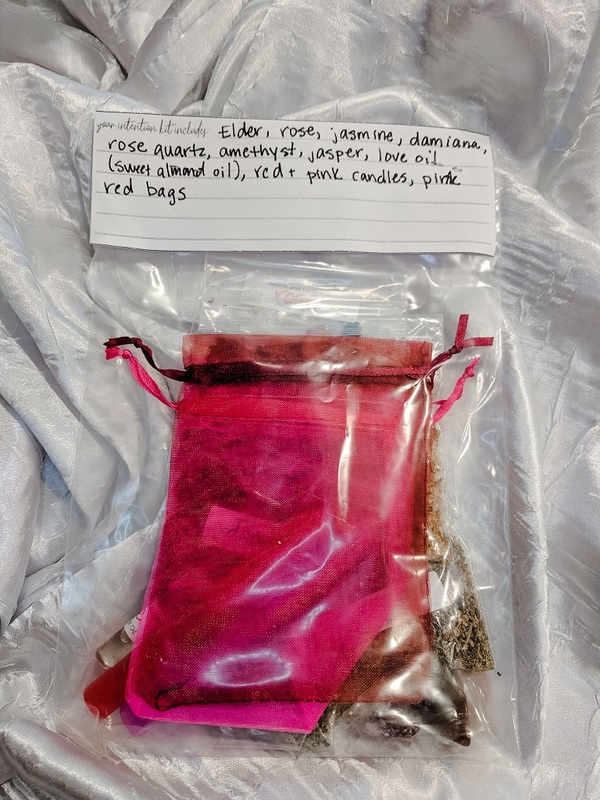 Create a talisman: add herbs, crystals and other objects to a small bag. Tie the bag to a necklace or keep on your person. Candle magick: dress a candle with oil, and roll in herbs, or sprinkle herbs around the candle. Never leave a candle burning unattended. Herbal infusion: infuse herbs into water as you would a tea. Use in your spell, or to wash your tools or asperge your space. Always research any herbs you plan to ingest into your body. 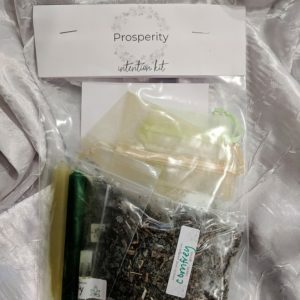 This prosperity intention kit includes everything you need – except for your spell. Crystals, herbs, small bags, and chime candles set the stage to bring in more prosperity into your life. Each bag might be different, but the intention is the same – prosperity. 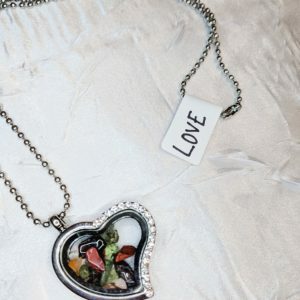 This heart- shaped locket is filled with crystals and stones aligned with the intention of love. 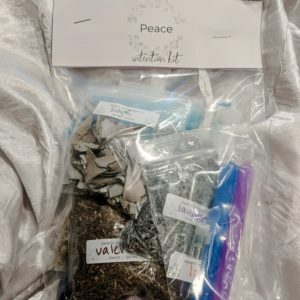 This peace intention kit includes everything you need – except for your spell. Crystals, herbs, small bags, and chime candles set the stage to bring in more peace into your life. Each bag might be different, but the intention is the same – peace.